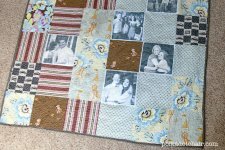 "I have been trying to make quilts for my nieces (and nephews when they get old enough) when they graduate from High School and head off to college. The first one I made is written up here. 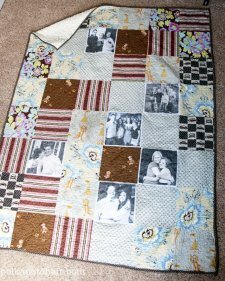 I liked the idea of a quilt to with photos of their family back home on it, to keep them warm if they get homesick while away. 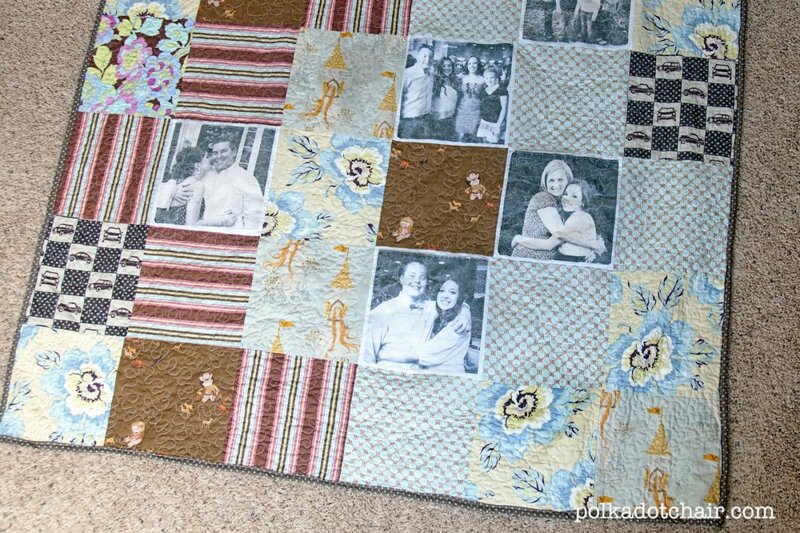 "After making the previous quilt, I decided I should simplify the pattern a bit. 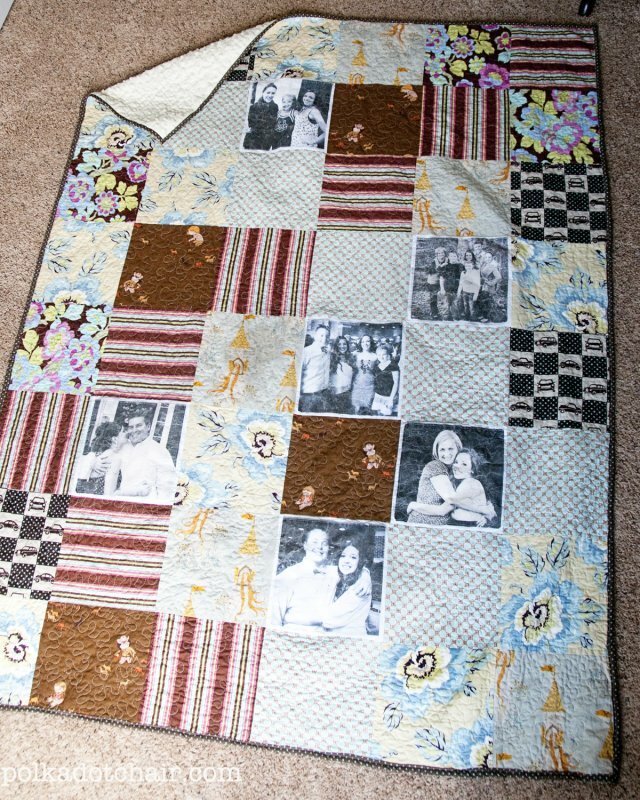 This one is very simple, made up of all 9″ squares of fabric. "I picked the fabrics based on the colors of my nieces dorm room bedding and a few that I thought would be meaningful (like the horses, since she is a Kentucky girl)."